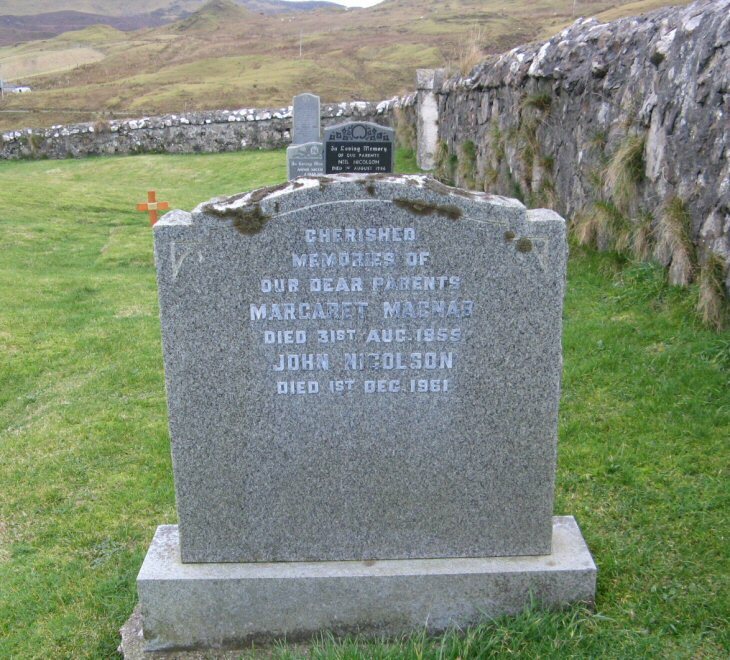 Skye Gravestones | Margaret (Macnab) & John Nicolson. Margaret (Macnab) & John Nicolson. Cherished/memories of/our dear parents/MARGARET MACNAB/died 31st Aug. 1955/JOHN NICOLSON/died 1st Dec. 1961.